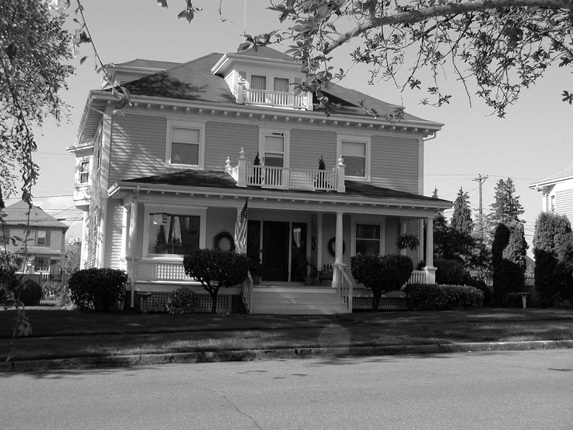 Historic homes that are located in the North Slope Historic District or the Wedge Historic District are granted special protection from inappropriate architectural changes because they are on the Tacoma Register of Historic Places. 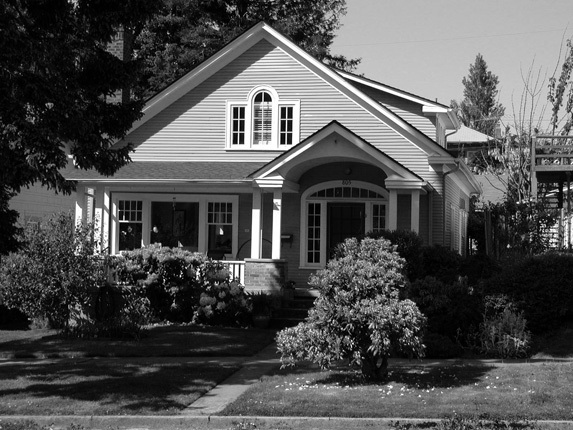 The National Register gives honor to the homes in its historic districts, but it takes being on the Tacoma Register to get protection. Protection from what, you may ask? 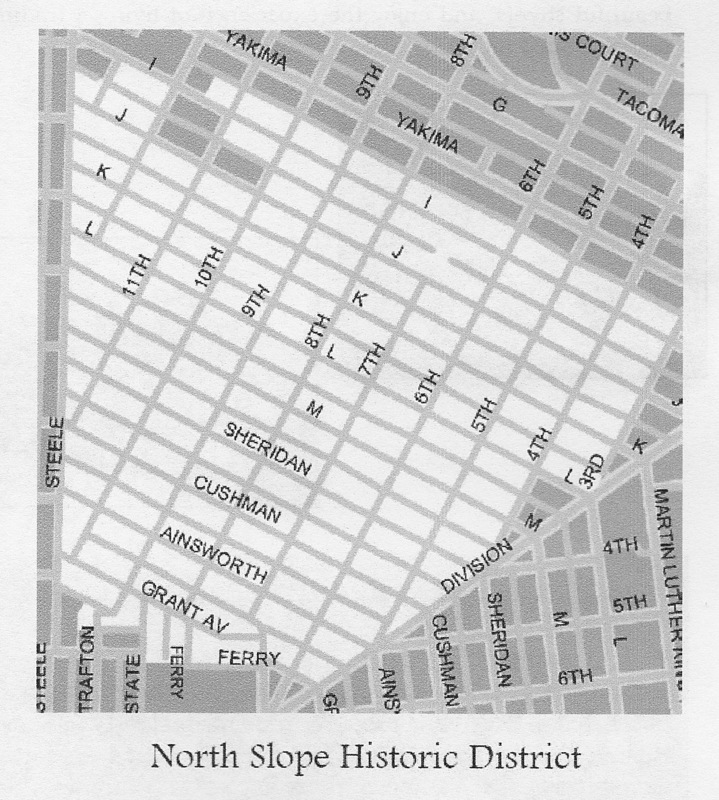 Old historic homes that are located in the North Slope Historic District or the Wedge Historic District have special protection from inappropriate architectural changes; all changes made to these homes must be approved by the Landmarks Preservation Commission. This group of expert volunteers oversees changes made to structures on the Tacoma Register of Historic Places, and approves changes to the structures. A. Preserve the District’s history. B. Promote Community welfare and neighborhood interaction. C.	(Enhance) Community development, maintenance, and beautification. The group has a Board of Directors, who direct programs and activities designed to be of educational, informational and social interest to the neighborhood. 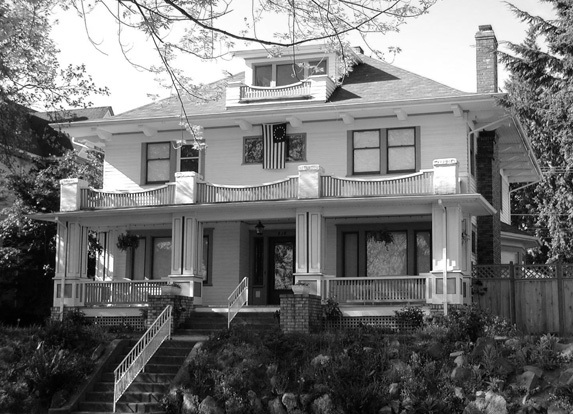 Browse our website to find articles about the history, activities, relationship with Tacoma’s Landmarks Commission, as well as program topics coming up. 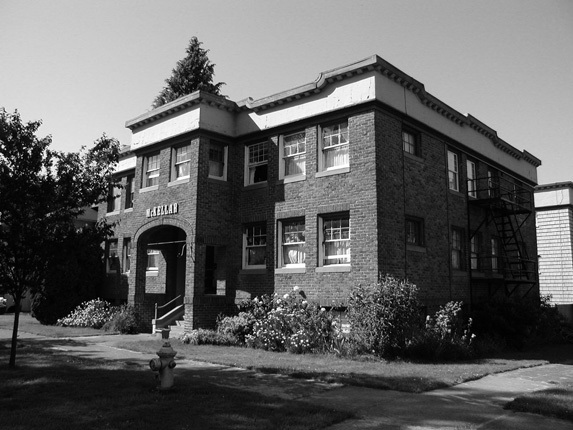 May is National Historic Preservation Month, and NSHD will celebrate it with a talk by former Mayor Bill Baarsma, who is currently the chair of Tacoma Historical Society. In addition, Mayor Baarsma is an expert in Tacoma history, so he has chosen to speak of Tacoma’s mayors and their roles in city government over the years since the beginning of Tacoma. Join us for a fun and informative hour, and think about the fact that you are living in an area that has been home to Tacoma’s residents since the 1880s. 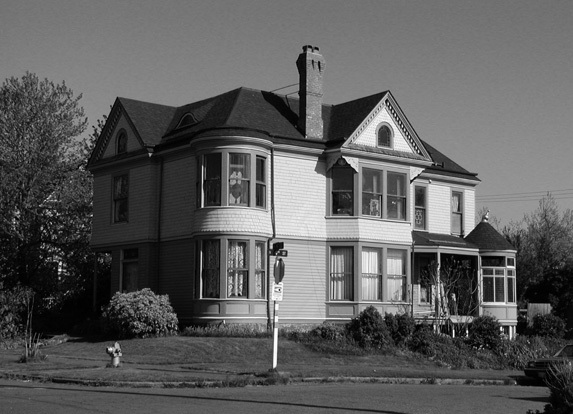 Tacoma's North Slope Historic District is a trapezoidal-shaped district bounded by North I Street to the north, Division Avenue to the east, and N Steele Street to the west. North Grant Avenue caps off the south end of the district. The North Slope has 1,285 resources and is one of the state's largest historic districts. The District was settled primarily as a residential neighborhood and contains a wide variety of architectural styles including Stick Style, Queen Anne, Craftsman, American Foursquare,Tudor Revival, and Mission Revival. Within it you will find many churches, apartments, and a few business areas. The neighborhood developed over time and it is common to find structures built structures built 20, 30 or even 50 years later. There were three building booms within the district: 1888 to 1893, 1902 to 1915, and 1919 to 1929. Nearly 80 percent of the homes were built prior to 1930. 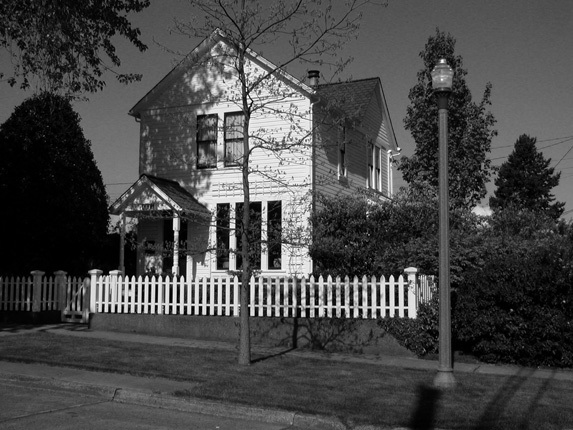 Tacoma's North Slope Historic District is a cohesive neighborhood that represents the social and economic history of Tacoma. The district represents a cross culture of individuals - both famous and ordinary - whose skills and talents played a role in the development and growth of the city. The early residents included professionals, trades people, business proprietors, railroad employees, and celebrities - all living in a close-knit neighborhood. 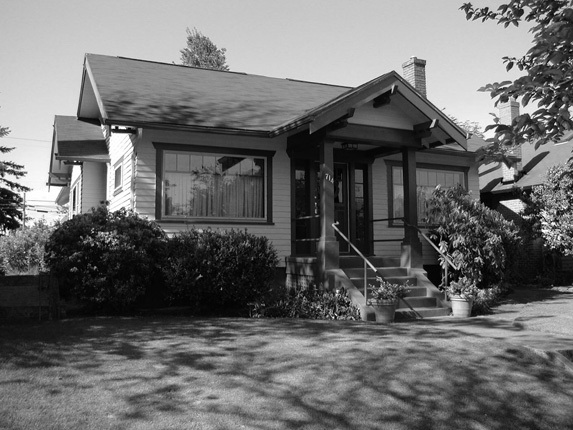 The district embodies the distinctive characteristics of residential development in Tacoma. Many of these dwellings represent the work of master craftsmen and architects. The period of significance for the district runs from 1881 to 1955. 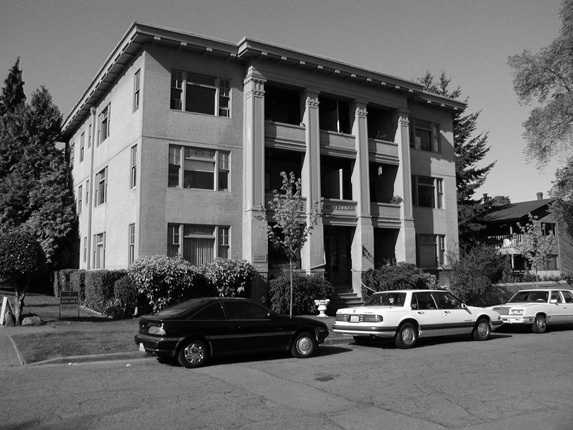 In 1955, the City of Tacoma changed zoning laws that allowed some of the neighborhood's older homes to be demolished and replaced by apartment buildings. Residents of the North Slope Historic District are united by more than their affinity for old homes. The district's board is made up of residents who are dedicated to the betterment of our neighborhood. Board members discuss and take action on issues pertaining to safety, zoning, historic preservation and more. Each year the board plans a variety of educational and social activities for residents. Whether you're a new homeowner in the North Slope Historic District or a long time resident looking for new information, you will find something interesting in the material put together here. There are articles about our neighborhood, its history, and requirements of the Historic District Ordinance. Read Julie Turner's personal account of the formation of the North Slope Historic District. 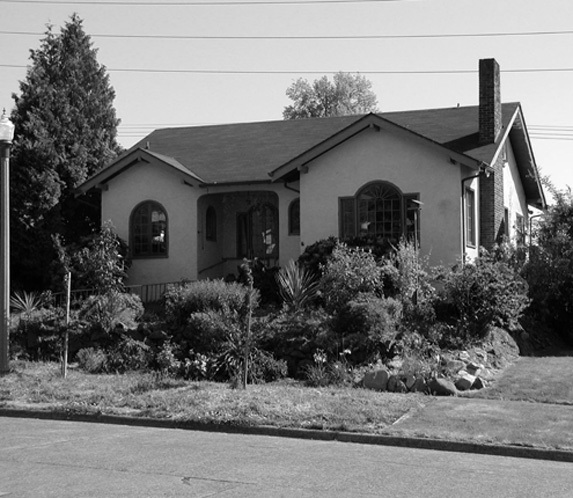 The City of Tacoma Historic Preservation Office will now be providing notification to adjacent property owners when new construction, except for garages built off alleys, is proposed for the North Slope and Wedge Historic Districts. This will include notification for alterations that affect roofline, form, or foundation. Adjacent property owners, including those directly across streets and/or alleys, will receive a copy of the Landmarks Preservation Commission meeting agenda when qualifying projects are proposed. This change comes out of an effort to provide early and clear communication to homeowners about projects that may affect their neighborhood. 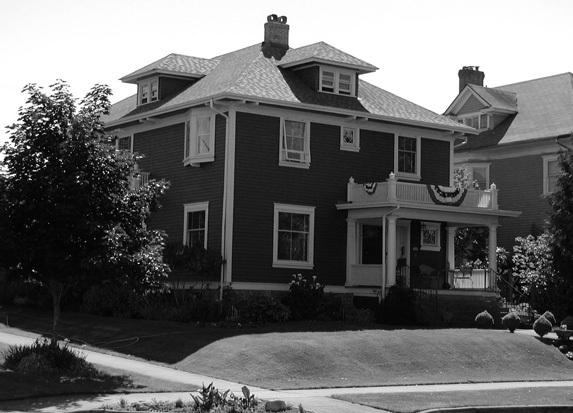 Prepared in the summer of 2008 for visiting dignitaries from around the state, now you can download your very own walking tour of the North Slope Historic District. 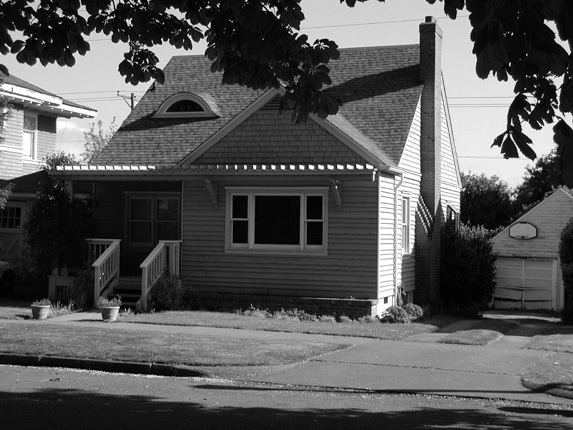 This project was funded by Historic Tacoma, the North End Neighborhood Council and your very own, North Slope Historic District. Our thanks to everyone that worked on this including the researchers; Brian Kamens, Marshall McClintock, Kim O'Rourke and Caroline Swope of Historic Tacoma. It was designed and edited by Erin E. Clarkson. Would you like to be notified via e-mail when the North Slope Historic District has new educational/social events and/or news? Would you like to receive the e-mail edition of the Trolley Times? Click below.